I was out driving in the country with my family recently, as I turned the corner onto the rural road that led to our destination, my son Jason suddenly, shouted “Stop, Mom!” Reflexively, I hit the brakes, while straining to pinpoint the eminent danger that I had obviously failed to notice. But before I could locate it on my own, Jason drew everyone’s attention to an extra-large turtle who seemed to be enjoying the sun’s warmth directly in the middle of the adjacent lane. Fearing for its safety, my son bolted from the car intent on executing a perfect reptile rescue operation! 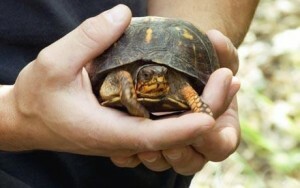 But, when he picked up the box turtle, it surprised him by making a fairly loud hissing sound. I’ve since learned that the noise was just a normal response to being startled, but at the time, we all joked about how this particular turtle must have been a thrill seeker and didn’t want to be saved from danger. 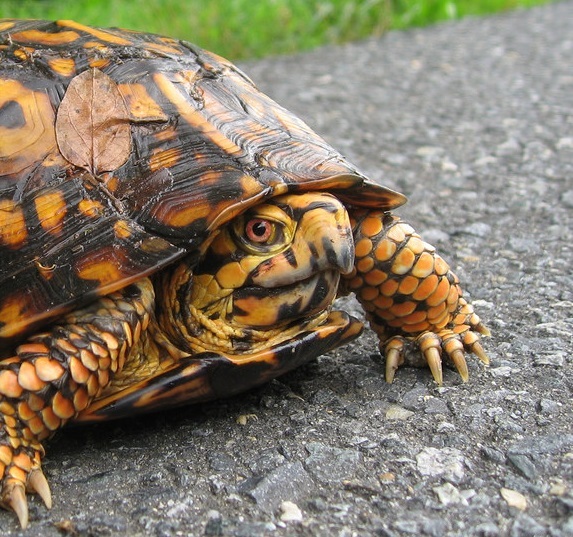 You know, our attitudes can often be a lot like those we imparted to that turtle. We pause in the middle of our journey on earth to sun ourselves in the warmth of our own pleasures.…without ever realizing the dangers that often loom just beyond our sight that have the power to crush us in an instant. When God (through His Word, His Spirit, or other people) warns us of our peril, and urges us toward the safety of His protection, we often resist being moved and even ‘hiss’ at Him in resistance. Ever wonder why we so often oppose the offer to be rescued? See, all of us are kind of like that turtle. We stiffen and bluster, but in our case, it’s not so much to escape our rescuer, but to hide from the truths that the Rescuer wants to expose… namely, ourselves. First Timothy 2:3-4 reminds us that a relationship with the Lord should lead us on a continual journey of coming “to a knowledge of the truth.” That means more than learning tidbits about God or scanning our Bibles every now and then. We need to be regularly reminded of the truth about the Lord, ourselves, others, this world, sin, righteousness, the enemy, and many other fundamental topics. Some years ago my pastor shared his personal, daily prayer with the congregation. He said every morning he entreats the Lord to “Show me the truth and draw me to Yourself.” Each of us needs to cultivate this same basic desire to know God and know the truth even when it is uncomfortable. And that will often mean, lowering our resistance and leaving the comfort and security of our self-protective “shell” and going with Jesus, knowing that we are always safe in His loving hands. 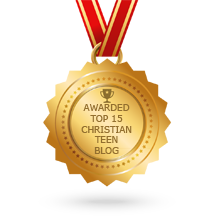 This entry was posted in A CLICK A BLESSING TODAY, CHRISTIAN LIFE AND THE WORD, Christian Life and the Word - Know the Truth - Live the Truth, CHRISTIAN TAGALOG BLOGS, CHRISTIAN TEENS BLOGS and tagged Good News, knowing yourself, rescue, sin, Surrender, turtle. Bookmark the permalink.